Common sense inclines us to believe that small class sizes increases the likelihood that teachers will be more effective educators and that student achievement will be greater. Those who influence public policy, especially economists who study the subject, report that student achievement is not effected by class size. The impact of these findings is significant as leaders of educational systems attempt to balance budgets with fewer teachers and larger enrollments in classrooms. An article published in the Quarterly Journal of Economics in 2000 by Caroline Huxby on The Effects of Class Size on Student Achievement: New Evidence from Population Variation reported that reductions in class size had no effect on student achievement. However, Dr. Huxby wrote in her article, In this way, the experiments mimic actual class size reduction policies, which rarely include evaluations or incentives for schools to make good use of the opportunities provided by smaller class sizes. The last part of her comment, to make good use of the opportunities provided by smaller class size, is especially relevant to educators and families. How does one take advantage of smaller class size to improve students' achievement? The answer may be found in the National Research Council's 1999 report of the Committee of Developments in the Science of Learning, How People Learn: Brain, Mind, Experience and School. In 2005, the National Research Academies took the next step and published a book, How Student Learn: History, Mathematics and Science in the Classroom, to provide examples of how the principles and findings on learning can be used to guide the teaching of a set of topics that commonly appear in the K-12 curriculum. Students come to the classroom with preconceptions about how the world works. If their initial understanding is not engaged they may fail to grasp new concepts and information, or they may learn them for purposes of a test but revert back to their preconceptions outside the classroom. To develop competence in an area of inquiry, students must (a) have a deep foundation of factual knowledge, (b) understand facts and ideas in the context of a conceptual framework, and © organize knowledge in ways that facilitate retrieval and application. A metacognitive approach to instruction can help students learn to take control of their own learning by defining learning goals and monitoring their progress in achieving them. As one reads the examples of teachers using these principles one is struck by the number of individual or small group discussions that are essential to these lessons. One draws the conclusion that successful implementation of these principles relies on small groups of learners guided by a teacher who has the opportunity to interact with his or her students. Large class size militates against this interactive process. 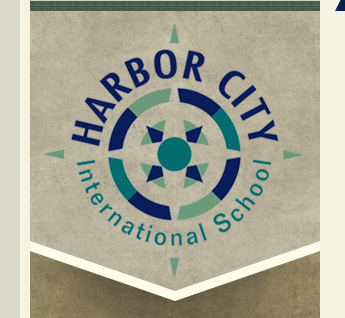 At Harbor City International School, our average class size is 17 students. We are able to apply the three principles of learning because we have the opportunity to interact with our students, engage prior understandings, connect facts to concepts, and ask students to monitor their thinking. 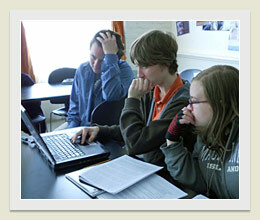 We are able to track students progress and refine our teaching methods to increase our students' achievement. Another variable in the effectiveness equation is that our school is a safe and calm environment. Students learn best when they are able to focus on their education rather than worry about bullying or disruptive classrooms where an instructor is attempting to manage the behavior of 35 or more students. Free from these distractions, students begin to enjoy their classroom experience as well as their co-curricular experiences without constant fear or vigilance. Harbor City International School is making good use of the opportunities provided by small class sizes. The results show in our Reading scores with 86% of our students achieving proficiency. Our mathematics scores are improving each year and our mathematics team is assiduously addressing students' needs in mathematics. In the fall of 2011, 63% of our juniors and seniors scored above national norms in mathematics following two years of working with our faculty. These results show that we are making a difference for students and families who choose Harbor City. If you are tired of large class sizes where you feel that you son or daughter is lost among the crowd, you should consider Harbor City International School. Discover the difference small class size can make from a school community who knows how to take advantage of the opportunities small class size offers students and teachers.